Welcome to Adventures Float Trips! Adventures Float Trips is a great place to spend a care-free day (or two, or more!) soaking in the sights and sounds of nature as you peacefully float down the clear, cold Niangua river. Whether you and your family love to kayak, canoe, or raft, Adventures Float Trips will give everyone the unique float experience they’ve been craving! We’re open from about April 15th thru October 31st. Conveniently located only 14 miles west of Lebanon Missouri, 3 1/2 miles west of Bennett Spring State Park, or 15 miles east of Hwy. 65 @ Louisburg on Hwy. 64, we offer great access for day trips, travelers, motorcyclists, or spur-of-the-moment-fun. 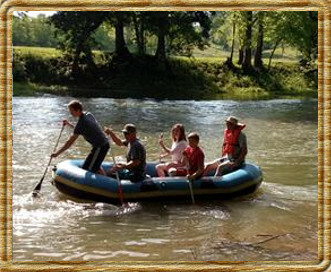 Enjoy all the excellent fishing and beautiful scenery on a less crowded river with our weekday floats and camping. We offer river trips that give you flexibility in float times, and plenty of time to fish and play. Our affordable overnight stay allows for the small savings that you might need for gas and other expenses. Please see our camping page for other details. As fall approaches (late September to early October), the leaves on the trees begin to change colors. Fishing is great, and wildlife is abundant. 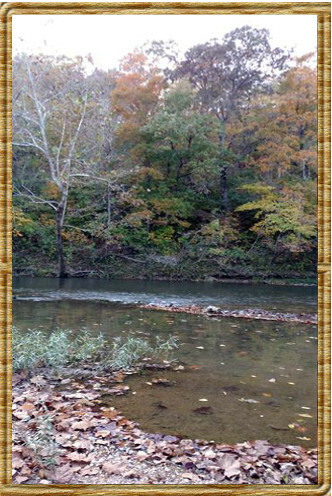 Don’t miss out, enjoy one last day on the beautiful Niangua River before the winter months. Reservations and Deposits are required for weekend Floats. However, if wanting to avoid any crowds, consider a float through the week. Please send full amount or half of the total which would be considered a deposit only. In the event of flooding or excessive rain, a rain check is given, good for one year. You have 7 days prior to your float date to cancel for a refund or to make changes. After 7 days, deposit amount would be kept by ADVENTURES. Click here to download a copy of our rental agreement for your review. This was my first and won't be my last float trip! Super friendly and informative staff. Had items for purchase on their shelf we needed that we forgot to bring on our float trip. Thanks again for everything you did to make our float trip memorable. First time floating and we had a blast. Linda and her staff were very helpful. Very hassle free and easy. Just show up and they take care of the rest. We have been floating and camping with Linda since we moved to Missouri 5 yrs ago. She is so easy-going and helpful if you have any special requests, or just show up on a day you're free and want to float! Great Place - Safe and Fun! My daughter and 4 of her friends recently camped and floated with Adventures Float Trips. Linda was extremely friendly on the phone with the parents who were booking and to the 5 young ladies who were camping and floating. She checked on them several times and kept the worried parents updated as to their whereabouts during the float trip. The campground was wonderful. My daughter (age 18) said it was the best camping and float trip she's ever been on, and she's been going on several per year since she was about 4 years old. Thanks for the wonderful experience! We'll definitely be recommending you to other families. Couldn't ask for nicer people! Linda is very friendly and knowledgeable. Preparing for my first time on the river, I felt like I was in good hands. Would recommend to anyone!